This Flea Market occurs every Saturday beginning in May. Proceeds benefit the Annapolis Arts District. You can find out more information on their website, or at the Annapolis Arts District website . Lastly, they have a Facebook page! Happy shopping!! 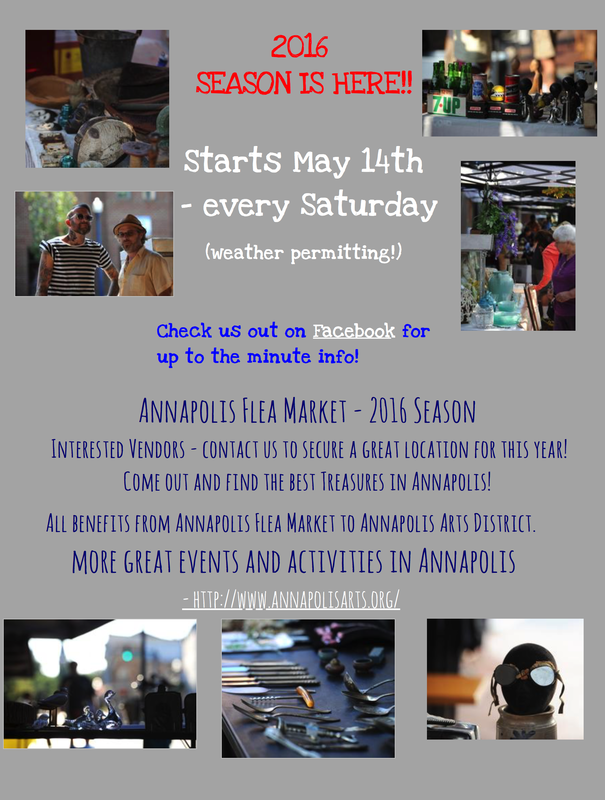 * 2017 Update - I emailed the Annapolis Design District because the flea market isn't on their website any more. When I get details I'll post!